100-Year-Old Driver Crash Renews Debate: When Should Seniors Stop Driving? 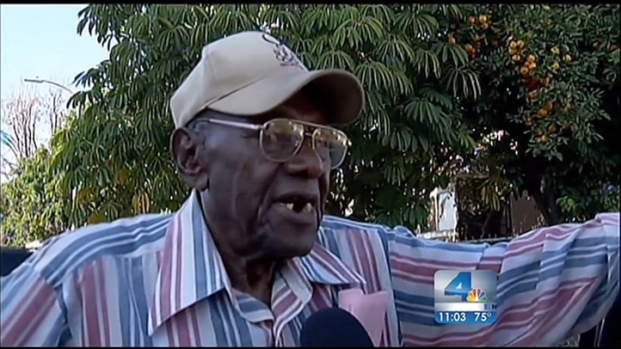 When 100-year-old Preston Carter backed his Cadillac into a group of schoolchildren earlier this week, sending 14 people to the hospital, his daughter was doubly dismayed. First, because of the injuries to the victims, and second, Rose Jenkins said, because she had been trying to get her father to stop driving long before the accident occurred. "I've been wanting to stop driving for the last year," Jenkins said. "So I think this is a wake up call and I don't think he'll be driving any more." Carter said his brakes failed. 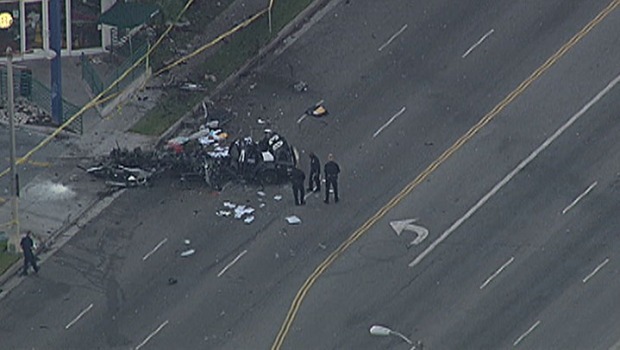 Police are investigating the car and have not reached any conclusions. 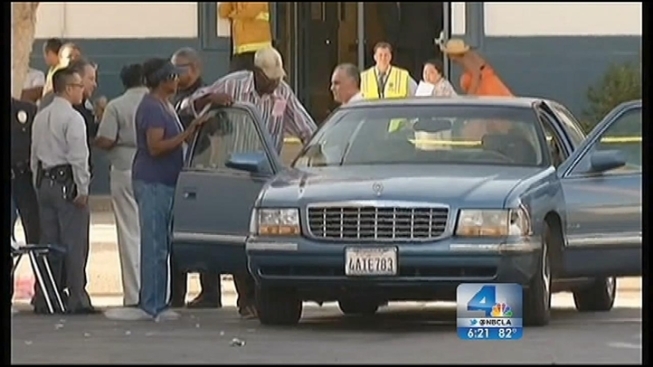 The incident highlights the minimal restrictions placed on older drivers in California. There are more than 71,000 licensed California drivers over the age of 90, according to a DMV estimate, more than the capacity of Dodger Stadium. Specific licensing rules related to age begin at 70, according to Jan Mendoza, DMV spokesperson. Before then, drivers with clean records can get two automatic renewals of the five-year license before having to go to a DMV office in person. Starting at age 70, drivers must go in every five years to take a written test and undergo an vision test. No driving test is required. There are circumstances under which a license can be referred to DMV for review. Referrals can come from the driver's family, law enforcement, or a health care provider. Evaluations are done by a number of hospitals, including Glendale Adventist Hospital. The evaluations consider neurological, physiological, and mental aspects, according to Joe Juse, occupation therapist and rehab coordinator at the hospital. "A person might think they're still able to drive and truly aren't able to," Juse said. "So it is very concerning." Roberta Berthold, whose 15-year-old daughter was taking the test for her learner's permit at the Glendale DMV office on Thursday, said a driving test should be mandatory for older drivers. "My grandmother, rest in peace, drove for years beyond when she should have," Berthold said. be the sole factor in triggering license assessment. Statistics cited by the auto club indicate that teen drivers on average have more accidents than older drivers. "Even 75-year-old drivers have fatal crash rates equivalent to drivers in their late 20s," according to an AAA fact sheet. "The Auto Club wants to keep older drivers on the road as long as they can drive safely," said Jeff Spring, communications director, Automobile Club of Southern California. Training to help older drivers hone the skills to improve safety is readily available. Both the AARP and the Auto Club offer driving classes tailored to seniors, as do a number of private schools the DMV lists on its website. One incentive is guaranteed insurance discounts, which often far exceed the class cost. Edna Tamarin, 88, recommends the classes. She still drives herself on errands and to her weekly volunteer work at Glendale Adventist. Tamarin said the classes have helped keep her a safe driver, but she recognizes there is a limit. "I'm hoping when I get to the point, I will have the sense to stop," she said. "But I don't know." Plotting accidents versus age yields a chart that Spring likens to an "upside down Bell Curve." The accident rate starts high for teens, then decreases as they mature into their twenties and thirties, hitting a low point in the early forties, before beginning to increase again. The AARP encourages adult children to talk to their parents about their driving. Guidance is offered in an online seminar entitled "We Need to Talk," posted on the AARP Website. Numerous serious accidents have been attributed to the driver confusing the accelerator for the brake pedal. Ten people were were killed in Santa Monica in 2003 when the late George Weller, then 86, drove into a farmers' market and could not stop for two blocks. There was no suggestion of deliberate intent, but Weller was later prosecuted for vehicular manslaughter. As for Carter, making it to age 100, much less holding a driver's license, qualifies as a statistical rarity. DMV records show that his license is up for renewal next year. He last renewed in 2008. In the 1990s, then-state legislator Tom Hayden, D-Santa Monica pushed legislation to limit the license duration for older drivers, and to require driver tests for renewal. Those aspects were never enacted. Hayden said AARP resistance was the difference. In an interview by phone from Detriot he called the outcome a "failure of the political system."